Yes indeed, there is a Lions University, and as you gain knowledge you can gain a Bahclor’s, Master’s, or even a Doctorate in Lionism. 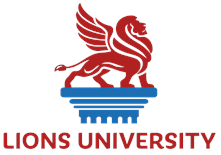 Lions University is designed to enhance your knowledge and skills so that you can better serve your community. To complete each program you take 10 required classes, 5 electives (all on line) and complete specific leadership experiences. Once you have completed a class you take an online test to confirm your learning and you receive a certificate of course completion. In the Bachelor’s program you develop the skills necessary to lead a vital Lions Club and be an excellent club leader. The Master’s level program focuses on developing District level leaders: Governors, Zone Chairs, Committee chairs, Guiding Lions, and so forth. The Doctorate program focuses on the skills needed to be a training facilitator for adult volunteers. When you complete this program, you will be a fantastic trainer for other Lions. Lions University is an excellent way to grow your knowledge and skills as a leader and the program is free! Click here to learn more about it!